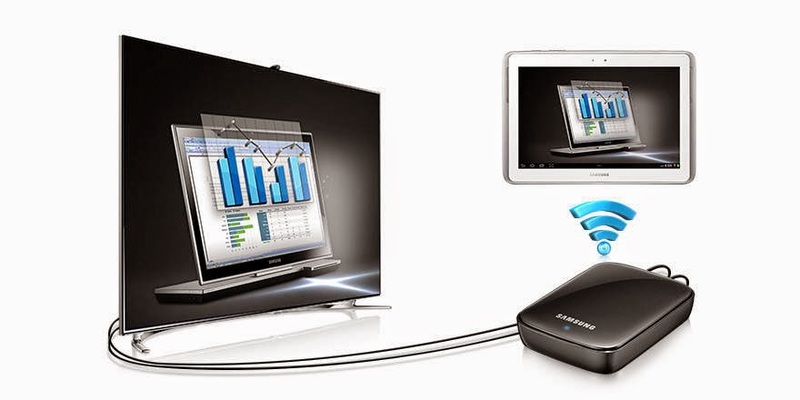 Elaborated in this piece are the workarounds to deal with the issue about no audio/sound routed to the HDTV when you connect the AllShare Cast Wireless Hub or HDMI adapter to your Galaxy S5 smartphone. 1. It could be that the volume is turned down on the device, down to the extent of you being unable to hear any sound. In this case, double check the volume level on the device first. 2. Audio problem may also be due to a temporary issue on the device. Leave it that way for now, and then try to check it again at a later time. 3. There are also some cases where users are unable to hear any sound or there is no audio coming through the HDTV when they attached the HDMI adapter or AllShare Cast Wireless Hub to their GS 5 handset. Later on, it was found out that the issue was somehow tied to the mobile device's software or firmware that was outdated. 4. Use of incorrect or incompatible HDMI adapter can also cause such problem to happen on the device. 5. You may also face the same problem when you connect your GS5 to an HDMI port on your HDTV that does not support audio. Same thing happens when you use an adapter when converting a non-HDMI port to an HDMI port. Now that we already determine the possible problem causes, let's proceed with the following workarounds. 1. To ensure audio is being sent from your Galaxy S5, press the Volume key up on your handset. 2. Perform a soft reset on your mobile phone. · Remove the battery with the device still ON. · Wait for at least 30 seconds and then put the battery back in the device. · Turn the phone ON. 3. After performing a soft reset on the mobile phone, it's time to reboot the DLNA enabled device, as recommended by the manufacturer. If you need further assistance in rebooting the DLNA, it wouldn't hurt if you contact the device's manufacturer. 4. To ensure the problem is not due to an outdated firmware/software on your GS5 device, check for any available software updates for your device at Samsung official site. 5. Make sure the HDMI adapter you bought is compatible with your GS5 handset. Check the model of the HDMI adapter first. It is highly recommended to use the HDMI adapter model shown on your device's Accessories page. Audio may not be routed from the phone to the HDTV if you are using a different HDMI adapter. Again, please note that if you are using an adapter to convert a non-HDMI port to an HDMI port, it is very likely that audio will not be routed through the television because of limitations of the adapter or port being converted. In addition, not all HDMI ports support audio and video on some HDTVs. Try to connect the HDMI adapter or AllShare Cast Wireless Hub to another HDMI port, if audio from the Galaxy S5 is not routed to your HDTV.